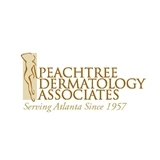 Peachtree Dermatology Associates (Atlanta) - Book Appointment Online! We take pride in our reputation for excellence in the fields of general dermatology and dermatologic surgery. Our practice is broad and includes the care of acne/rosacea, moles, skin cancer, warts, eczema, psoriasis and disorders of the hair and nails. Our physicians and physician assistants are experts in the accurate diagnosis of benign and cancerous skin growths. We perform dermatologic surgical procedures including the biopsy and removal of lesions and the treatment of skin cancers. Using both surgical and non-surgical methods, our doctors successfully treat thousands of precancers and skin cancers each year. While our therapies focus on a cure, strong attention is paid to achieving superior cosmetic results. Staff was friendly and helpful. Dr. Wright was informative and helpful.